“I really do think digital media is going to be a bigger component of campaigns going forward,’’ said Chris Hayden, communications director for Majority Forward, a new nonprofit that is promoting McCaskill – specifically the 50 town halls she’s held so far. 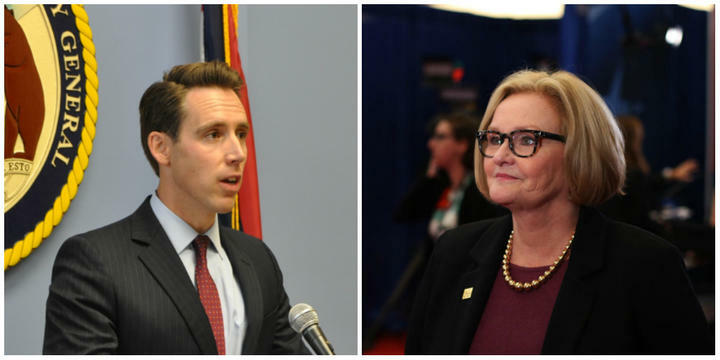 Missouri Attorney General Josh Hawley, left, is the best-known Republican challenging U.S. Sen. Claire McCaskill, a Democrat, in 2018. State Treasurer Eric Schmitt has just been announced as the honorary chairman of one of the newest groups for Hawley, called Missouri Rising Action. Schmitt is sharply critical of McCaskill’s performance. “After nearly a dozen years in Washington D.C., Claire McCaskill has grown out of touch with Missouri and her partisan liberal votes have made life tougher for the hardworking people of our state,’’ Schmitt said in a statement. “With Missouri Rising Action, I look forward to helping lead the effort to replace McCaskill with the bold, fresh leadership of my friend, Josh Hawley,” he added. Missouri Rising Action noted that her inaccurate statement had made FactCheck.org’s year-end list. Missouri Rising Action and the Democratic-leaning Majority Forward illustrate the two main types of outside political groups that have become increasingly powerful in campaign messaging. Missouri Rising Action is a Super PAC, which is a type of group that can campaign directly for or against a candidate. 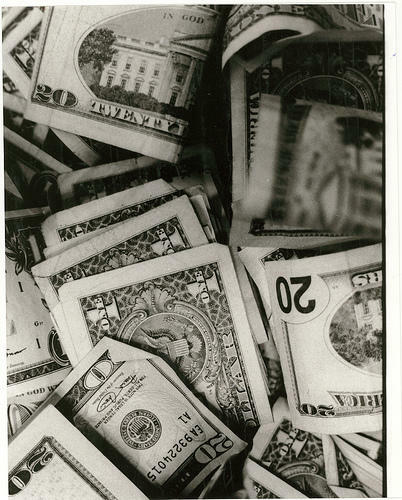 Super PACs are required to identify their donors, but can accept contributions of any size. Majority Forward is a nonprofit group known as a 501(c)(4), which does not have to identify its donors, how much those contributors gave, or how the money is spent. Both groups have other political ties. Missouri Rising Action is linked to a nonprofit known as Missouri Rising which does not have to identify its donors. And Majority Forward is aligned with the Senate Majority PAC, a political action committee tied to Senate Democratic leader Chuck Schumer, D-N.Y.
Hayden is the communications person for both Democratic groups. Majority Forward, he emphasized, will be aiding various Democrats around the country, not just McCaskill. For her part, McCaskill predicted the flood of outside money at a town hall last spring in Jefferson County, when she exhorted her audience to be wary. At that point, scores of groups with difficult-to-trace funding sources already had spent money to support or oppose her re-election. But the deluge of outside money is expected to continue. The Center for Responsive Politics, a nonpartisan group that tracks political spending, has estimated that spending by outside groups for the 2018 election appears to be far outpacing their counterparts in 2016 — and that was a presidential election year. 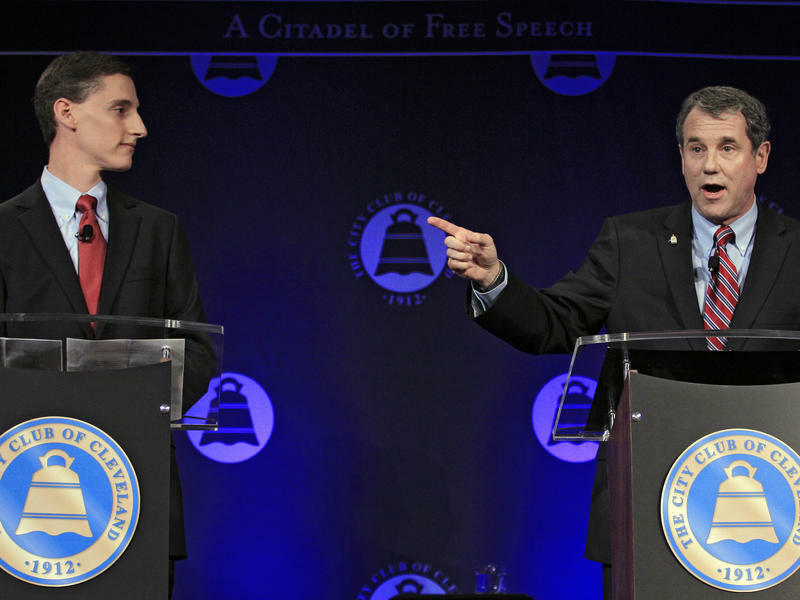 In 2016, Missouri’s last U.S. Senate contest, the public saw record sums spent by outside groups for or against Republican incumbent Roy Blunt and his Democratic rival, Jason Kander. Many of the groups on both sides of that contest never revealed the sources of their money. Expect to see more of the same in Missouri in 2018. 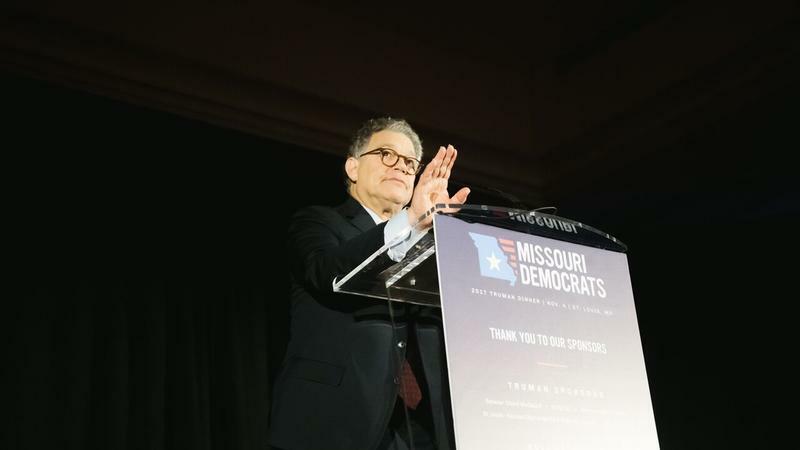 Less than two weeks after U.S. Sen. Al Franken headlined the Missouri Democratic Party’s biggest event of the year, the Minnesota Democrat is back in the news over a groping allegation that is stirring up the state’s U.S. Senate race. U.S. Sen. Claire McCaskill, D-Mo. and a longtime friend of Franken’s, announced Thursday that Missouri food banks will be getting $30,000 from her – representing the campaign aid she has received from Franken’s political action committee since 2006.